Manchester United and Louis Van Gaal have suffered a transfer setback as both Kevin Strootman and Gerard Pique are set to stay at their respective clubs. 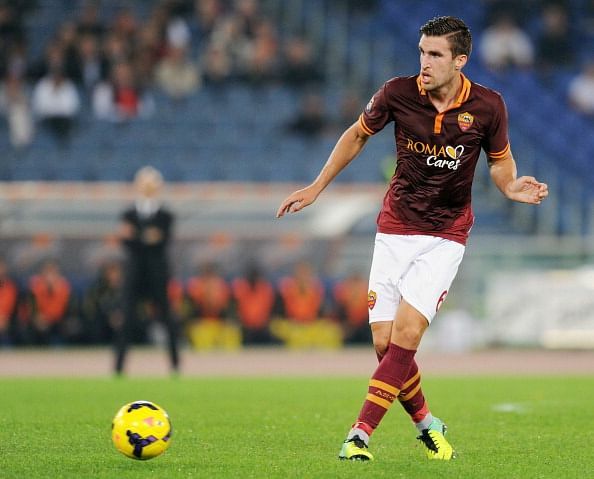 Strootman, who was linked with a move to Old Trafford last season, has been a key figure at AS Roma. Louis Van Gaal wanted to sign the central midfielder in the summer but failed to do so. Roma’s President James Pallotta revealed that the 24-year old will not be going anywhere, “It is just not happening. I have told the papers that they should stop wasting paper. We don’t have any interest in selling Kevin,” the American told BBC Sport. He went on to add that Roma have not set a cut-price for the Dutchman, “Obviously as business people when people call us and say ‘we want your player’ you are going to listen to them. “You have to do that, that is the business side. That doesn’t mean you are going to make a decision that [an offer of] £75m, bang you hit the bid. That is not the way it is going to work, it is not the way it does work with us. Strootman was signed from PSV Eindhoven last season and penned a 5-year deal that will keep him at the club until 2018. He returned to training recently after suffering from a cruciate ligament injury in March that ruled him out for 8 months. Strootman’s situation isn’t the only bad news for United fans as former player and rumoured Summer target Gerard Pique ruled out a return to Old Trafford. “I love this club for its history, its style of play and the connection to Catalonia. I love it here and right now I’m at the best club in the world. I’ve no intention of leaving now or later. “I’ve just signed a new contract and I want to retire with Barca, just like Carles Puyol did. Louis van Gaal had identified Strootman and Pique as potential signings in the next year or so, but judging from the current situation, he’ll have to look elsewhere.